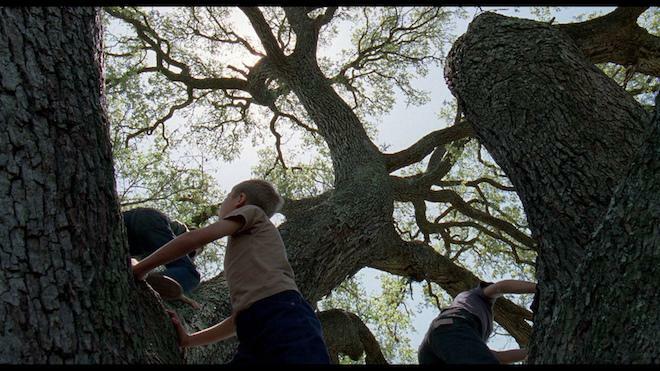 Terrence Malick's The Tree of Life is one of those films you won't soon forget. 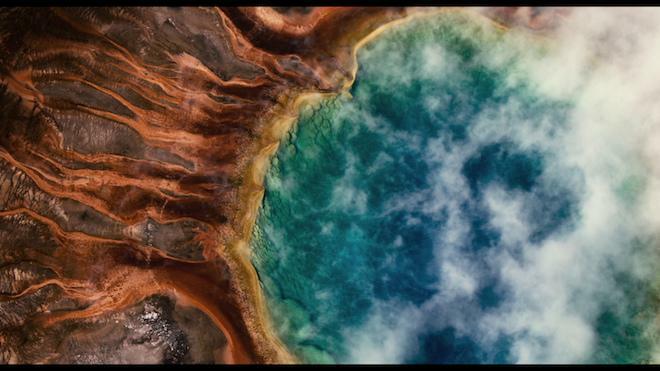 The visual filmmaker takes a fly on the wall approach to the entire creation and destruction of life from Earth's beginning to the dinosaurs, and even to a family's small time on Earth. There are little moments with some large and defining instances in everyone's life that are shown in a very poetic and sincere way. Included are two version of the film, the theatrical version and the extended version -- which is 50 minutes longer and is worth seeing. The new 4K transfer is simply gorgeous with new color grading as well as an excellent sounding DTS-HD MA 5.1 mix. There is an extra that was ported over from the 2011 edition and a ton of new bonus features that are all worth watching. Must-Own! Ever since I watched the first trailer for Terrence Malick’sThe Tree of Life all those years ago, I often thought about how the film could reach people emotionally and show how beautiful everything in life is. Not to mention, how it would affect how people could and would perceive what is possible with cinema today. Also, as I was watching the film and even after I viewed it, I couldn’t help but bring my own personal emotions, history, and experiences to the movie. I have a feeling that a lot of people will do the very same. To put it simply, Terrence Malick’sThe Tree of Life is the most impressive and magnificent visual portrait of history and life ever put on film. Sadly, I feel that not a whole lot of people will understand The Tree of Life and therefore not enjoy it or take anything away from it. 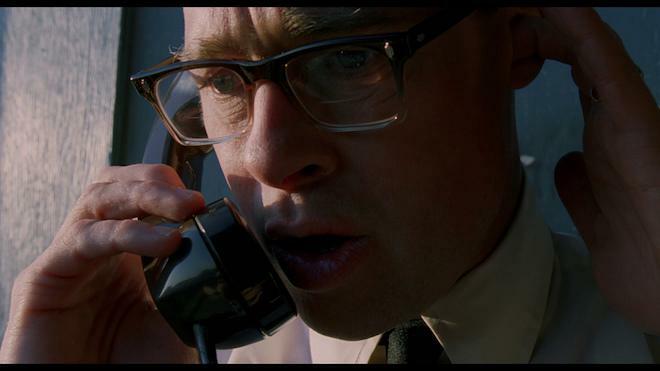 Much like Stanley Kubrick’s 2001: A Space Odyssey, The Tree of Life is a very visual film with very little dialogue. Actually, it seemed like Kubrick came back from the dead and supervised this movie. Each individual frame would allow you to print it out and hang on your wall as an art piece. This might be 2001: A Space Odyssey for a new generation. It has been decades since a film has been so visually beautiful and relevant even in the most simplest of subjects - life. 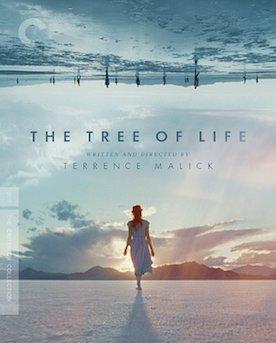 Some will compare The Tree of Life to other Malick films such as The Thin Red Line, Days Of Heaven, The New World, and Badlands. I must tell you that The Tree of Life is something much more significant and astounding. It’s a film that follows each individual audience member to the depths of your mind and soul. It’s a piece of science, poetry, a higher power, and most of all waking up to life. The Tree of Life is mostly a narrative film following the creation of everything and eventually a family. The film basically starts out with Sean Penn who we see is an executive in the construction business when he gets a call from his father played by Brad Pitt. It is from here on out we see Sean Penn think about his childhood and growing up in the small Texas town of Waco, which is where Malick is originally from. Penn’s character thinks of a certain time period up until his family moves from their home, including his two younger brothers, one of whom dies later on in life, his mother who tells us we should love everything, and of course, his father who he is scared of, yet is in awe of him. Throughout the whole film, questions are asked narratively by all the characters and it’s the kind of questions that you start asking when you “grow up” or become completely aware of life and everything around you. It was scary and overwhelming at times. For example, when you first learned about death and saw it right in front of you, or when you realized your parents didn’t know all the answers, or when you started questioning God, heaven, and hell. Remember when you were young and there were no consequences and no worries, but that one short time period when you realized there were problems in life and consequences? That’s the beauty of this film. Those precious moments, memories, and problems, which conjures up life. The Tree of Life is an important film and incredible piece of cinema that dares you to think and reminisce about your childhood and adult life. Richard Linklater recently made Boyhood, which took us through a family's life, much like this one here, but with Malick at the helm there is a great sense of poetry, symbolism, and an in-your-face look at the big moments through life. It's an experience and journey, which I am in awe of. This Criterion version of The Tree of Life comes with two 50GB Blu-ray Discs that are Region A Locked. One disc contains the theatrical version and the other disc contains the extended version --- which is 50 minutes longer. There is a 46-page booklet with cast and crew info, tech specs, and essays on the film by Kent Jones and Roger Ebert. The discs are housed in a fully illustrated cardboard case with cardboard sleeve with spine #942. The Tree of Life comes with a 1080p HD transfer from Criterion and is presented in its original aspect ratio of 1.85:1. According to the Criterion booklet, the theatrical version was created in 4K resolution from the original 35mm camera negative. The extended version was scanned from the original camera negative along with a 35mm interpositive, all supervised by Terrence Malick. Both the 2011 release and this new Criterion release look equally impressive. With an upscaled 4K UHD image, details are a tiny bit sharper and more fluid. When comparing both theatrical versions the image looks quite similar as does the new extended version on a separate disc. The big difference that you will notice though is the new color grading throughout the film. Each color is richer in quality and brings newly added life to the film. The green grasses in the neighborhood look more alive and luscious. During the dinosaur scenes, the earthy tones are exceptionally brighter and more detailed, where you can distinguish each shade of blue, green, and brown. The wood furniture inside the family's house look bolder as well and accentuate wardrobes and the blue skies outside. Black levels during the creation of Earth and other planets never bleed over but are deep and inky and skin tones are very natural. Additionally, facial pores, individual hairs on Brad Pitt's face, and other scrapes and scars do show up nicely. Both the theatrical and extended versions look excellent with their new color grades, making this the ultimate Blu-ray set to watch. This audio mix comes with a DTS-HD MA 5.1 track, which is different from the previous 2011 version, a 7.1 mix. According to the Criterion booklet, the Extended version audio track used the same audio files from the theatrical version and remained untouched except where new transitions were needed. Before the movie starts, a title card pops up and tells you to turn up your volume loud as this is the best way to experience the movie, and it does this for good reason. There are so many intricate sounds to be heard in each scene along with the fantastic score and classical song list included that without a loud sounding audio track, you won't get the full immersive effect that is desired. Every tiny sound can be heard with full dynamic range and clarity. Again, listen to the dinosaur scene. You'll hear the babbling brook run from one speaker to another with insects in the background, rocks clanking together as a dinosaur walks on them, along with a dying dinosaur breathing its last breath. It's quite amazing really. Each sound effect is layered and robust to give a full sound that consists of low and high ends. The classical score kicks into high gear at certain moments that just captivates the scenery. Kids screaming as they play through the streets also sound phenomenal and nuanced. A lot of the film is narrated in a soft voice, but the center channel perfectly annunciates each word as to hear it above everything else. There are no pops, cracks, hiss, or shrills, either. One extra is ported from the 2011 edition, but the rest are brand new bonus features created for this release. They include interviews with Jessica Chastain, the visual effects, music, and cinematography of the film. There is also a collection of video essays as well. Exploring The Tree of Life (HD, 30 Mins.) - This is the sole extra that was ported from the 2011 release and acts as a documentary on the making of the film. It features interviews with virtually the whole cast and other big name directors and crew as they discuss working with Malick and making the film. Jessica Chastain Interview (HD, 19 Mins.) - This is a new interview with the actress made specifically for this release where she discusses her audition, camaraderie with the three boys, and working with Malick. Visual Effects (HD, 23 Mins.) - The visual effects supervisor is interviewed here for this release and talks about creating the dinosaurs and other visual effects in the film, along with working with Malick. Music (HD, 19 Mins.) - Film critic Alex Ross talks about the important role the music and song choices played in this movie. Cinematography (HD, 17 Mins.) - This is a video essay by film critic Benjamin B where he talks about the visual cues and style of Malick. Also featured are interviews with the cinematographer, camera operators, editors, and production designers. All Things Shining Part 5: The Tree of Life (HD, 25 Mins.) - Another video essay is included where film critic Matt Zoller and editor Serena Bramble talk about the visual style of Malick. This was the 5th part in a series of visual installments at the Museum of Moving Image in New York, where Terrence Malick is featured. This is set in two parts, both of which are about 12 minutes long each. Extended Version (HD, 189 Mins.) - A whopping 50 minutes of extra footage is added to the film and it's magnificent. What is included in the extra 50 minutes of footage? We get to see more of Sean Penn towards the beginning of the film along with Jessica Chastain's character and how she wanted to become a scientist and not a stay-at-home mother. We see the death of a bumble bee, a snake, the kids falling in love, and much more. One big scene is when a tornado tears through Waco and the aftermath. It's definitely worth your time to watch this extended version for sure. Criterion Booklet - There is a big 46-page booklet with cast and crew info, tech specs, and essays on the film by Kent Jones and Roger Ebert. You either love The Tree of Life or hate it. There really is no in between with this Terrence Malick film. I'm in the group that loves this film. How Malick shows the creation of life from its very start to the small time we get to spend with an average family and all of life's little and big moments is truly beautiful. There is a good amount of poetry in both religion and nature that is very powerful. Again, this is an experience to be seen. The new 4K transfer is outstanding from Criterion and the 5.1 mix has never been better. The extended version, which is 50 minutes longer is worth the extra hour of your time, and all of the new extras are fantastic as well. This is a MUST-OWN.